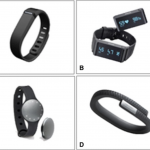 Researchers analyzed the Withing Pulse, Fitbit Flex, Jawbone Up24, and Misfit Shine and attempted to use objective and subjective data to find the best one. 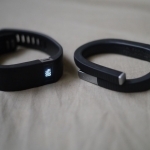 The Jawbone UP24 ($149) and Fitbit Force ($129) are quite similar–they both are worn around the wrist, both add sleep and nutrition tracking, both offer silent/vibrating alarms, both feature passive/continuous bluetooth syncing, both offer 7+ day battery life, and both offer excellent third-party integration. Regardless, spending time with the two devices reveals that each has a different personality and approach to the quantified self movement.